This is Lis Simon Bride Annie, and her husband Luke. Annie is wearing our SS101 bodice and SS109 skirt from our 2017 separates collection sewn together to make one complete dress. We used the lace from the bodice on the skirt so the pair would match perfectly. On February 10th, 2018, Annie and a few of her friends hiked to the top of a mountain. Luke was waiting at the top of the overlook with more of their friends and family, where he proposed. Annie's dress shopping experience was fun, but rushed, since they had a 6 month engagement. Her mom and sister joined her at Ladies of Lineage in Fort Mill. Annie tried on 3 other dresses, and then landed on the one! She Facetimed her bridesmaids for their approval and within about an hour of dress shopping, the deal was done! 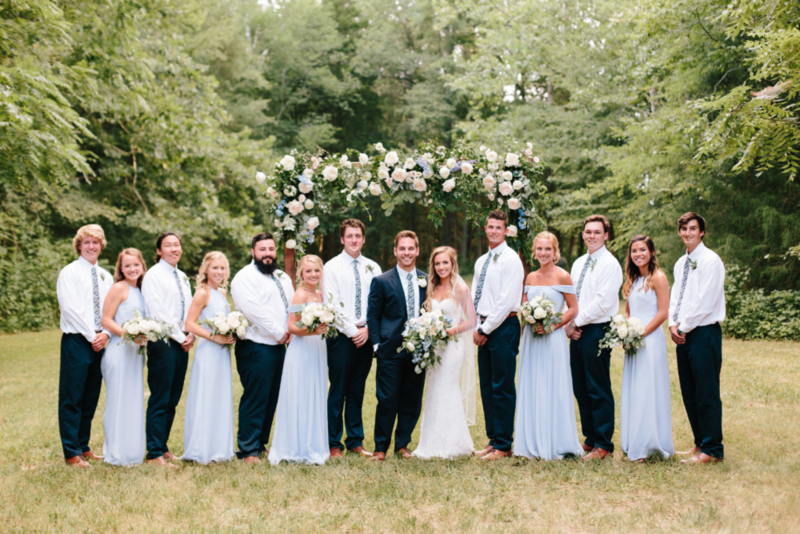 The wedding ceremony and reception were both held in Annie's yard in Lancaster, South Carolina. "I have always wanted to get married at my house to that I could revisit the venue with my husband whenever I wanted!" 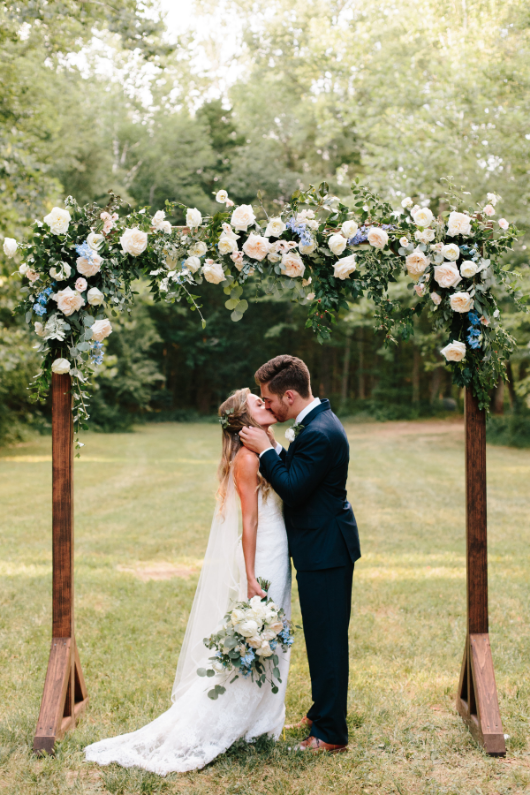 Her parents worked very hard creating the perfect wooden garden space for their ceremony. Their decor was rustic elegance. A natural look with neutral colors and florals.